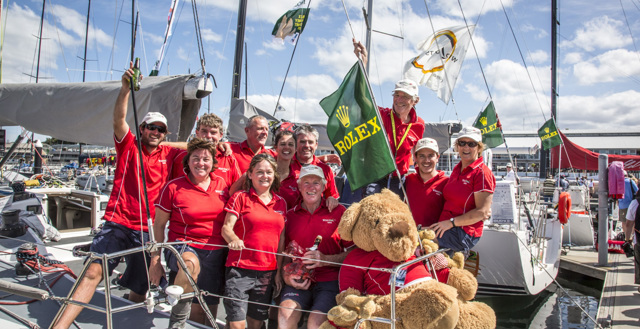 The CYCA's principal sponsor Rolex is pleased to announce that the 2012 Rolex Sydney Hobart Yacht Race - The Spirit of Yachting is now available for viewing. 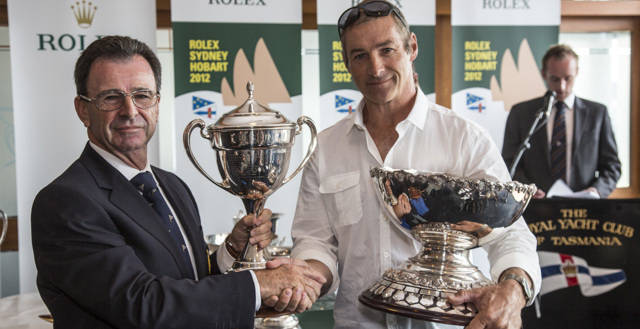 The 68th Rolex Sydney Hobart was a great contest. It may have finished with one boat, Wild Oats XI, scooping all the serious silverware, but to limit the story to that fact would be an injustice to the other 75 yachts that raced. Over and above the remarkable second treble of line honours, overall win and new race record secured by Wild Oats XI, this race will be remembered for the array of conditions experienced and the commitment of the smaller boats to finish despite the wind playing into the hands of the larger boats. 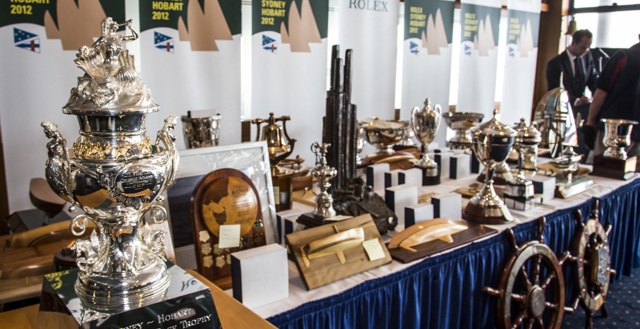 The Rolex Sydney Hobart Yacht Race came to a conclusion on January 1 at the Royal Club of Tasmania, where the Official Prize Giving took place. The Rolex Sydney Hobart Yacht Race today awarded its highest honour to four men whose individual contributions to the race over many decades have helped to make it one of the world’s great ocean classics. Sean Langman’s 80 year-old gaff rigged Maluka of Kermandie arrived last on line in the Rolex Sydney Hobart Yacht Race, but she arrived well in time to see the New Year in, as many revellers clapped her into Kings Pier last evening. Discretion was the better part of valour for the Tasmanian crew of Dump Truck when they were faced with the gut-wrenching decision to retire from the Rolex Sydney Hobart with the finishing line just over 100 nautical miles away.